So, Who Is Lindy Conant & The Circuit Riders…And Who Is RMA? To the surprise of many music industry insiders, this week’s Christian Billboard No. 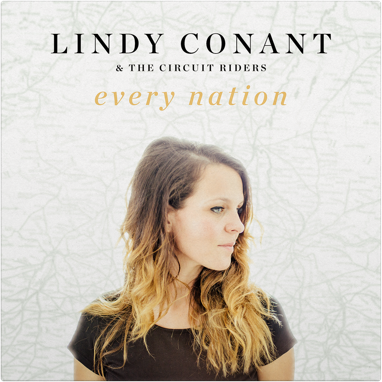 1 album is Every Nation by Lindy Conant & The Circuit Riders, a previously unknown independent worship artist. Every Nation released June 4th in partnership with RMA (Rogue Music Alliance), the brainchild of worship industry mainstays Gabriel Wilson and David Staley. Fueled only by Wilson’s production, Staley’s social media marketing hackery, and grassroots word of mouth momentum from the Circuit Riders, Every Nation debuted at No. 1 on the Christian Albums Charts, No. 97 on the Billboard Top 200 and No. 19 on the Billboard Digital Albums Charts – completely independent of physical retail distribution. Lindy Contant describes the record as the “heart cries” of a movement releasing God’s desire to “activate a generation with selfless love to go to every nation and reach every soul.” Every Nation was produced by Gabriel Wilson (Bethel Music, KXC, John Mark McMillan), mixed by Sam Gibson (UNITED, Delirious, etc. ), marketed by David Staley and released in partnership with RMA. The members of Conant’s band, The Circuit Riders, are Gem Ceniza, Spencer Brennt, Chloe Brennt, Daniel Bryan and Kendall Fowler.